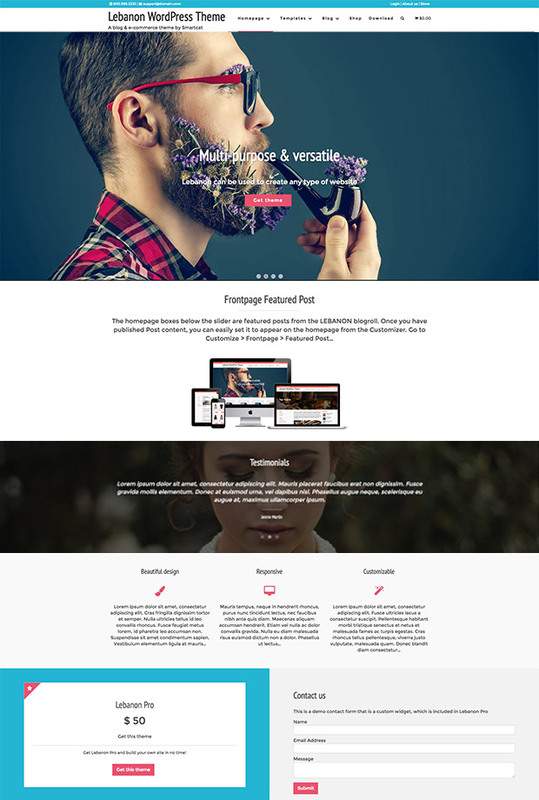 Lebanon is a business Woocommerce-ready theme, loaded with features, allowing you to build your site incredibly fast. Lebanon is highly customizable, allowing you to change colors, fonts, add widgets, custom post types and more without having to work with code at all. This theme allows you to select all colours from an HTML colour picker, meaning it will perfectly match your brand, business or personal preference. The homepage features 15 customizable areas allowing you to showcase all of your content, imagery and essential information. Lebanon is perfect for creative business, small business, restaurants, weddings, sport and medical stores, startups, bands, musicians, corporations, online agencies, ecommerce, freelancers and more.